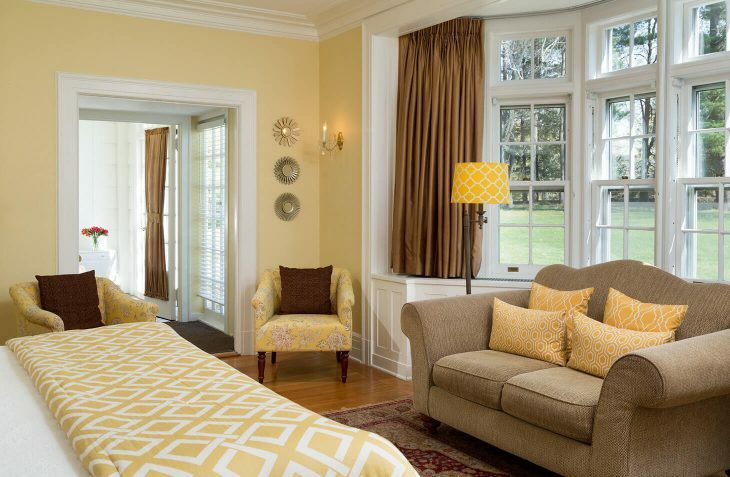 Looking for a hotel in Bennington VT then you will find that this large, first floor room with its own small private French-paned, heated glass porch is the perfect alternative to a more cookie cutter hotel room. The bedroom is large, has a king sized bed, flatscreen TV, gas fireplace and love seat. 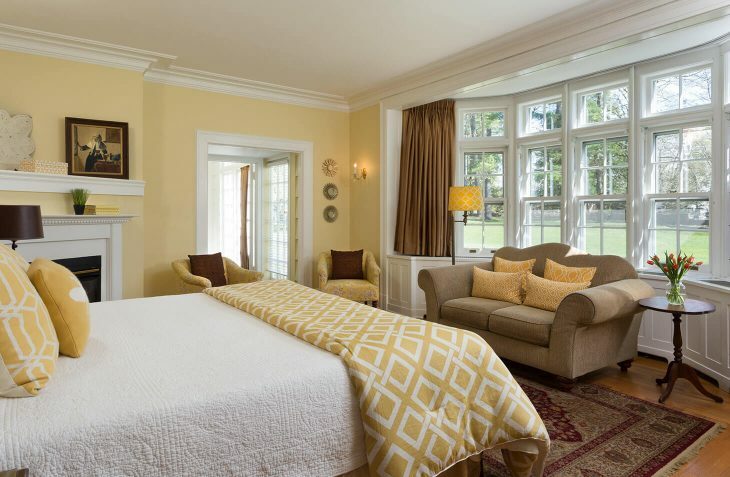 A large bay window provides excellent sunlight and overlooks the front lawns in the foreground with an impressive view of Mount Anthony in the background and the perfect suite for your New England vacation. 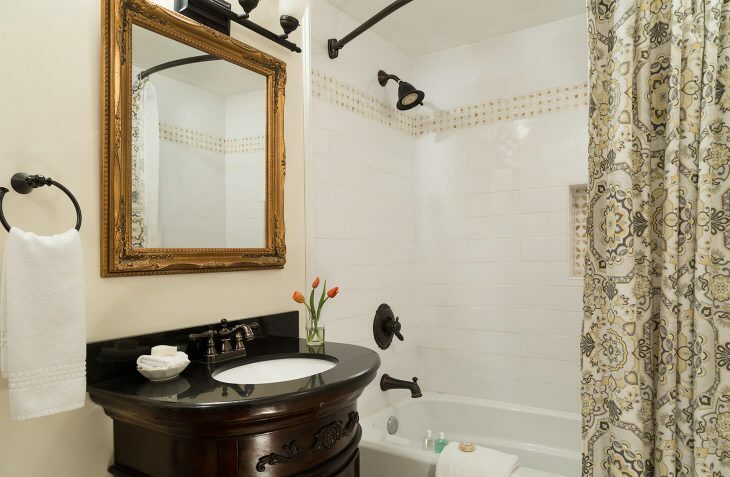 The newly renovated private bath has a marble-top vanity and standard-size tub/shower combination. Approximate room size: 20 x 13 feet. 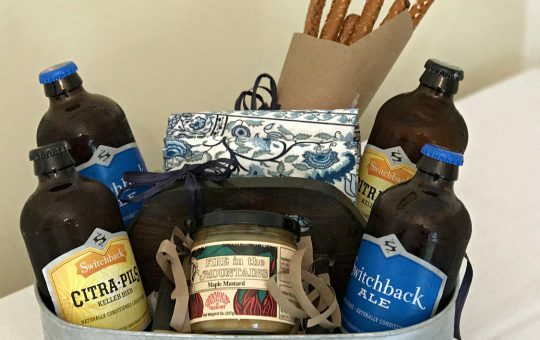 Enjoy four bottles of premium Vermont craft beer complete with pretzels and dipping sauce delivered to your room upon arrival.